Ohio Governor John Kasich and First Lady Karen W. Kasich have launched a program to help keep Ohio children safe from the tragedies that result from drugs. 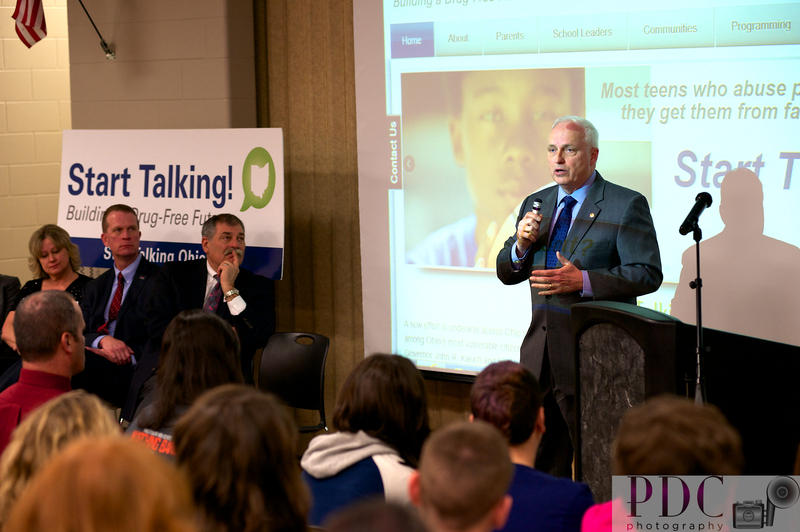 Start Talking is a part of a new drug abuse prevention initiative launched January 8 with a focus on ways we can all work to reduce the likelihood of youth drug use before it even starts. Research shows that youth are up to 50% less likely to use drugs when parents and adults talk with them about substance use and abuse. 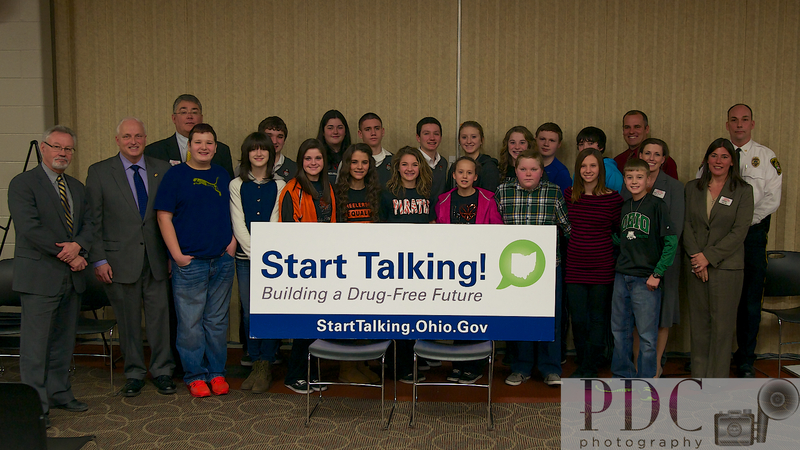 The Start Talking initiative hosted a kick off event at Wheelersburg High School in Wheelersburg, Ohio on January 30, 2013. The Wheelersburg area has had it’s share of “pill mills”. The larger issue in the area now is heroin addiction. The goal of Start Talking is to educate and empower our children to talk to adults and to speak up about what they are seeing around them. The program is also designed provide tools to increase the communication between the parents and children. 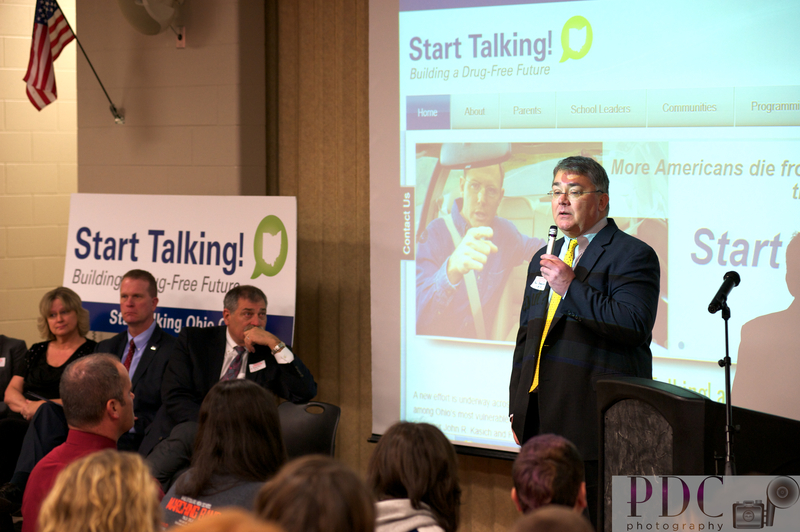 Wheelersburg Local Schools Superintendent Mark Knapp introduced the program and talked about how the school can be pivotal in educating our children on drug abuse and empowering the students to talk to the teachers and coaches if they are aware of a problem. Wheelersburg Baseball Coach, Michael Estep, reinforced the need to open a dialogue with our children. He says he uses his Saturday morning sessions before double headers to bring speakers in to talk with the baseball team about a variety of issues. He feels coaches and teachers are in a good position to provide support and encourage kids to stay off drugs. In a time when peer pressure is strong, sometimes, just knowing there is an adult, whether it is a teacher, coach, or parent the student can turn to makes all of the difference. Coach Michael Estep presents at the Start Talking kick-off initiative. Among the speakers today were parents who had lost children to drugs. It is important to realize the majority of drugs are obtained through family and friends. Think about what you have laying around the house. When was your last surgery? Do you still have those pain pills laying around? Grandma, Grandpa, aunts, uncles, and other parents could unknowingly contributing to drug abuse to our children. Take the time to go through your medicine cabinet and clean out medications that could lead to addiction. The first speaker, Danielle Smoot, gave an emotional testimonial about how her son died after his first exposure to drugs. He was seen in the hospital and then when he came home, they put him to bed. When she went in to check on him he had died in his sleep. 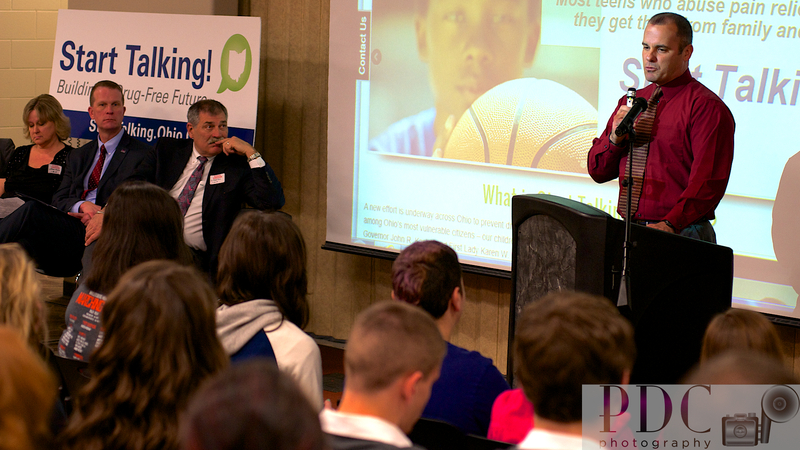 She emphasized that any child could be exposed to drugs at any time. 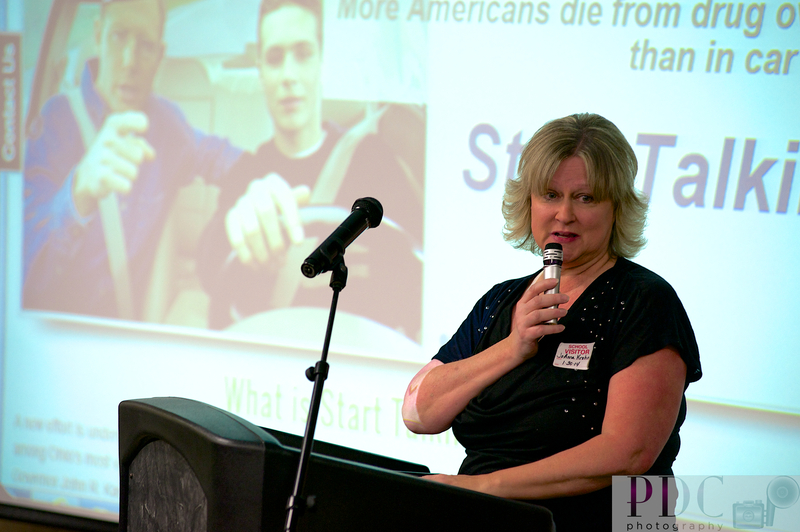 Danielle Smoot emphasizes that “one time” can lead to a tragic end. 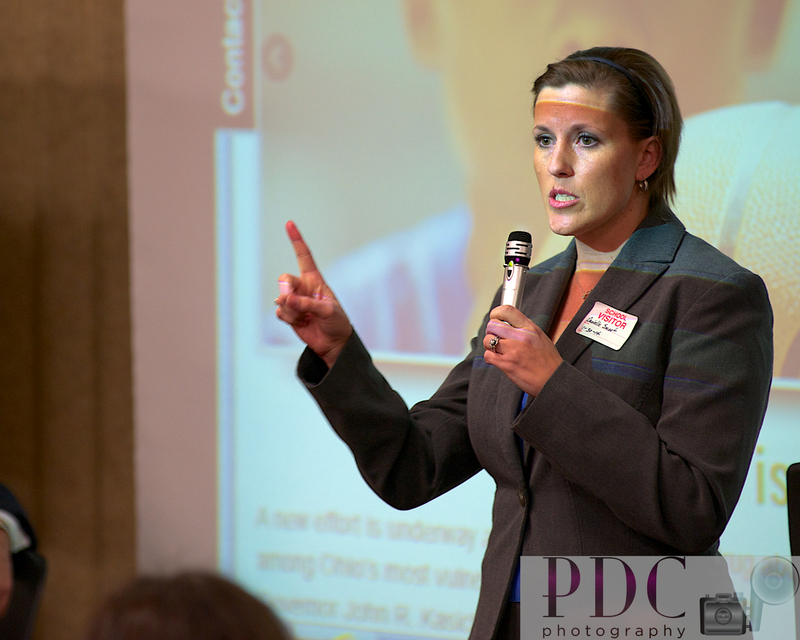 The next speaker was JoAnna Krohn. Her son had a troubled time with drug addiction. One night he was having a party and obtained a loaded gun and accidentally shot himself in the head. After the death of her son, Ms. Krohn founded SOLACE (Surviving Our Loss and Continuing Everyday), an organization to provide to evidence based support and education to children and adolescents on substance and alcohol abuse. SOLACE also organizes support groups to help individuals who have lost a family member to drug abuse or individuals who have someone in their family suffering from drug abuse and addiction. Jo Anna Krohn speaks about the tragic loss of her son, Wesley, while he was under the influence of alcohol and opiates. 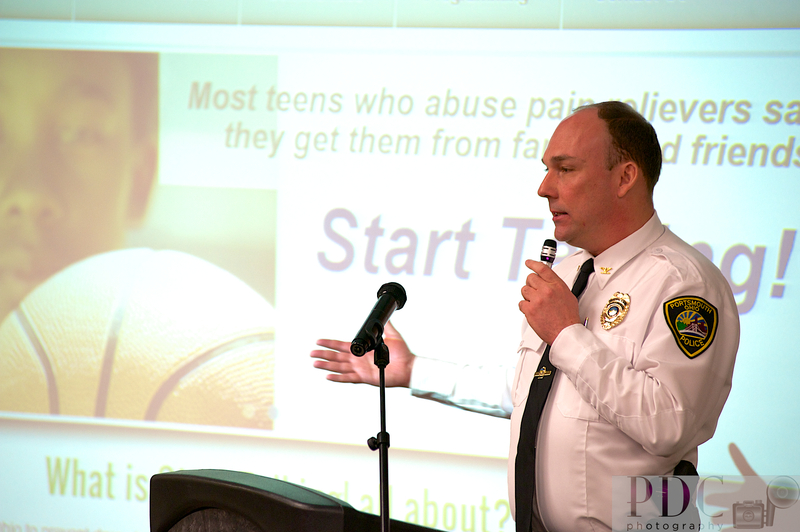 Mr. Paul Schoonover gave testimony about his son’s history with drug abuse. His son came to him and told him he had a problem and wanted help. Mr. Schoonover said that his son completed a drug rehabilitation program and they mistakenly believed he was “cured”. His son died of a heroin overdose the day after he had completed a drug rehabilitation program. Mr. Schoonover talks about the loss of his son from a heroin overdose. 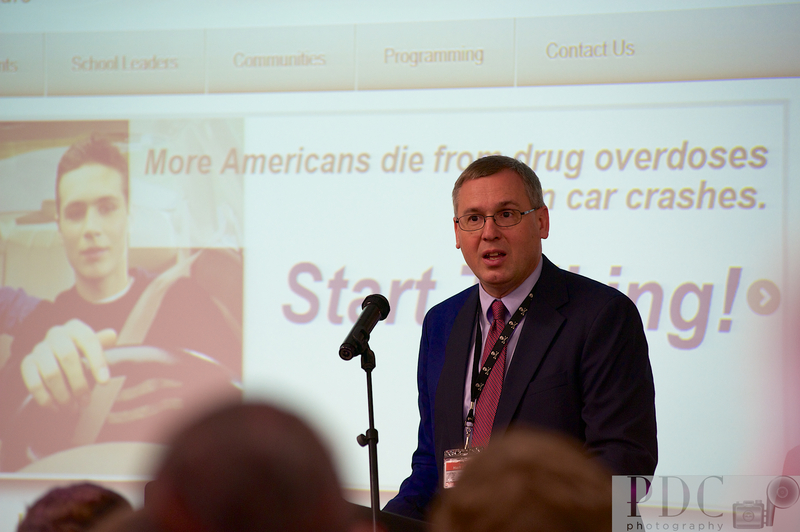 Representative Terry Johnson who has served the region as the county coroner and as a physician talked about the “heritage” of drug addiction. Many of the children who fall into the cycle of drug addiction are from families who have had long standing histories of drug abuse…parents, grandparents and so on. It is a difficult task to break that cycle; they live how they are taught. He said as the coroner he has seen things we would not believe. Conditions children are raised in down to elder abuse and neglect. Rep. Johnson credits closing the “pill mills” as a first big step to eliminating the availability of drugs. Rep. Terry Johnson shares his experiences as county coroner and seeing first hand the effects of drug abuse in our region. Portsmouth, Ohio, Police Chief Robert Ware discusses what the police department has been doing to fight the fight against drugs. Drug usage in this region has been prevalent since I was in school. You knew who used and who didn’t. When I first realized there was a problem was when I was walking home from school one afternoon (remember this is the late 1970’s) and I saw a car pull over and one of the students who was a year ahead of me ran over to the car and she was handed a bag of different colored “objects”. I was so ignorant about drugs at the time that what I saw did not register with me. It wasn’t until later on did I realized I had witnessed a “drug deal”. This entry was posted on January 31, 2014 by Pam DeCamp Photography. It was filed under Uncategorized and was tagged with drug abuse, drug-free, Portsmouth Ohio, SOLACE, Start Talking, StartTalking.Ohio.Gov, Terry Johnson, Wheelersburg High School, Wheelersburg Ohio.